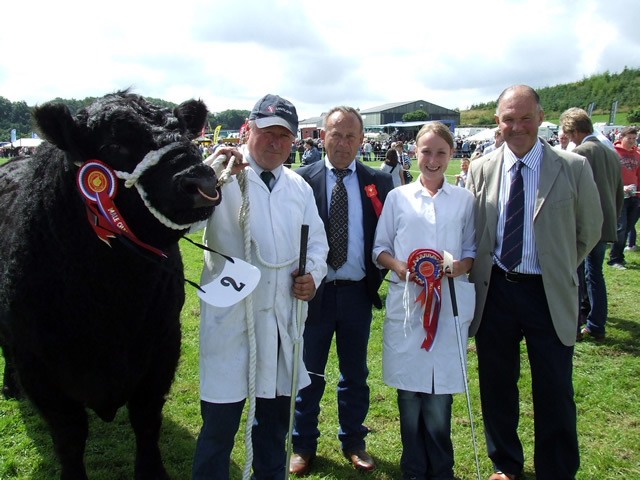 GALLOWAY NATIONAL SHOW – WIGTOWN SHOW 2011. 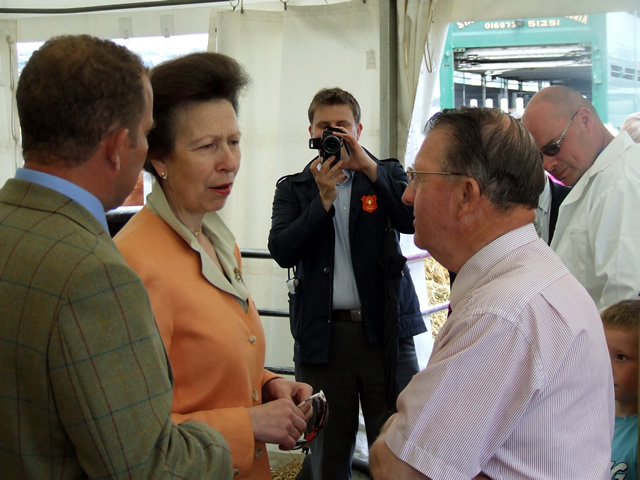 The Galloway National Show held at Wigtown Show was hailed as a great success, blessed with stunning scenery, ideal weather, excellent stock and record crowds, this was a great day out for members, exhibitors and general public who had come to help celebrate the Show Society’s bi-centenary year and to see the HRH Princess Royal. Overall Champion was the Male Champion Kirkstead Nancy Boy from Peter Hunter Blair and Family, Nether Cleugh, Dalry, Castle Douglas. A rising 6 year old son, Blackcraig Kazan son and out of Kirkstead Nancy, he is owned in a three way partnership with J & A Finlay, Blackcraig and I Thomson, Perlooie. He has been reserve champion twice at the Royal Highland Show and first in his class at Ayr show this year. With their best result so far, Klondyke Farm, Shancastle, Moniaive and stockman Scott McKinnon, Klondyke Almond received Female Champion and Reserve Overall, this 2006 born cow shown with heifer calf at foot is sired by the famous sire Diamond B Knockout and out of a homebred cow Klondyke Upset. The Junior Champion was from local breeder Mr AK McConchie & Co, Mains of Penninghame, Newton Stewart, Penninghame Rhyme, this September 2009 born Blackcraig Lucrative daughter was first in the largest class of the day. BULL BORN BEFORE 1ST SEPTEMBER 2009. BULL BORN ON OR AFTER 1ST SEPTEMBER 2009. 2nd Michael McCornick – Barquhill Coca Cola- Sire Blackcraig Ozzy, Dam Foxglove Narcissus of Nether Cleugh. 2nd J & A Finlay, Blackcraig, Corsock, Castle Douglas – Finmac Libby N195 – Sire Globex Quota, Dam Globex Libby. 4th Michael McCornick – Blackcraig Blondchen N219 – Sire Daimond B Knockout, Dam Blackcraig Blondchen J35. 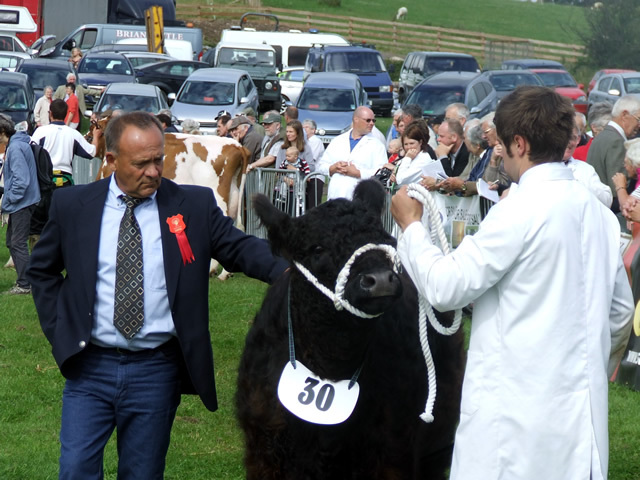 6th Neil & Shona McKinnel, Garrarie, Whithorn – Beauty Hercules 4th of Todstone - Sire Blackcraig Hercules, Dam Beauty Vindicator 4th of Todstone. COW IN CALF OR IN MILK BORN ON OR AFTER 1ST SEPTEMBER 2007 AND BEFORE 1ST SEPTEMBER 2008. 1st Messrs Wallace - Uniform R of Over Barskeoch – Sire Greenloop Limited Edition, Dam Uniform F of Over Barskeoch. 3rd D & R Cornthwaite, Balgrayhill, Lockebie – Penninghame Pansy – Sire Diamond B Keepsake 11K, Dam Penninghame Loraine. 2nd Peter Hunter Blair - Nerys Quintanna of Nether Cleugh – Sire Doon of Urr Anonymous, Dam Nerys Ingrid of Nether Cleugh. 3rd Klondyke Farms Ltd - Klonydke Discovery – Sire Holsten Ed, Dam Klondyke Tessa. 5th D & R Cornthwaite – Sparkie –La-La of Over Barskeoch – Sire Barlaes Fearless, Dam Oo-La-La of Over Barskeoch. 6th CG Noble, West Acres, Kirklinton, Carlisle – West Acres May – Sire Eclipse of High Creoch, Dam Barlaes Nancy 121st. 5th Messrs Wallace – Tootsie of Over Barskeoch – Sire Greenloop Limited Edition, Dam Uniform N of Over Barskeoch. 6th AK McConchie & Co – Penninghame Roxy – Sire Blackcraig Lurative, Dam Penningham Kirsty. 9th Rena Paterson, Low Three Mark, Stoneykirk – Laura 1st of Low Three Mark – Sire Finmac Norseman, Dam Laura 9th of Auchenhay. 2nd AK McConchie & Co – Penningham Saltire – Sire Penninghame Prince, Dam Penninghame Kirsty. 6th WF Welsh, Nether Craigenputtock, Lochurr, Moniaive. 7th Neil & Shona McKinnel, Garrarie Duke – Sire Orinocho of Over Barskeoch, Dam, Beauty Vindicator 4th of Todstone. 4th CG Noble – West Acres Belle – Sire Grange Mozart, Dam Barlaes Nancy 121st. 5th Peter Hunter Blair – Elise Sinead of Nether Cleugh – Sire Quincy of Nether Cleugh, Dam Elise Pearl of Nether Cleugh. 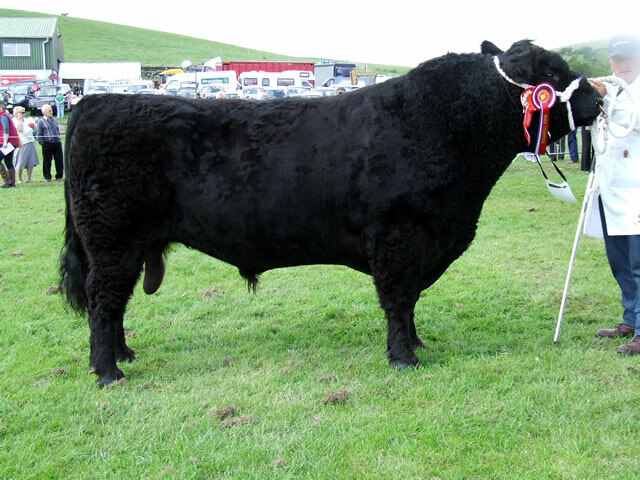 7th J & A Finlay – Blackcraig Noreen S370 – Sire Blackcraig Quartz, Dam Blackcraig Noreen P260. 5th D & R Cornthwaite.